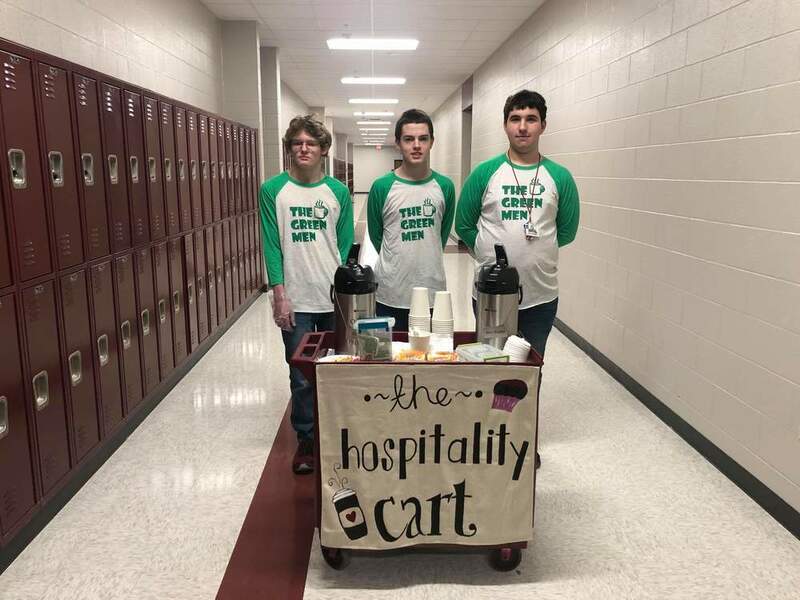 The Crossett High School Special Education students have started a coffee business. Mrs.Donna Culpepper is the advisor over the program. This business allows the students to sell coffee and hot chocolate to teachers in the morning before school starts. The coffee is $1.00 a cup and they only sell to school staff. The program is a way for the students to become more social in school. The business started in October with just four students participating and has grown to over ten students.“I feel the coffee selling is going really good and we do it so the teachers won’t be tired in the mornings.” says Neel Childress. Other programs have been involved in getting The Green Men up and running. Danni Dolan painted the sign for the cart in her art class. The JAG program designed and created The Green Men shirts. EAST is in the process of creating coffee cards for the coffee cart.